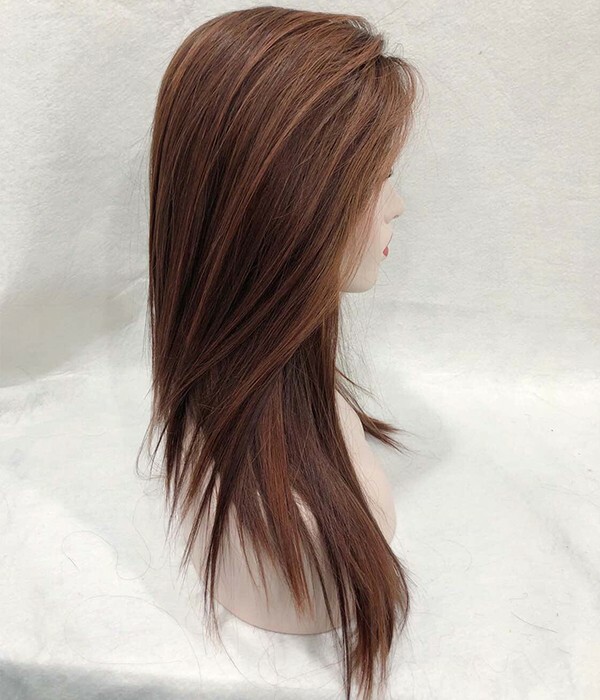 Copper Red blended with Deep Auburn Red with Dark Medium Brown highlights. 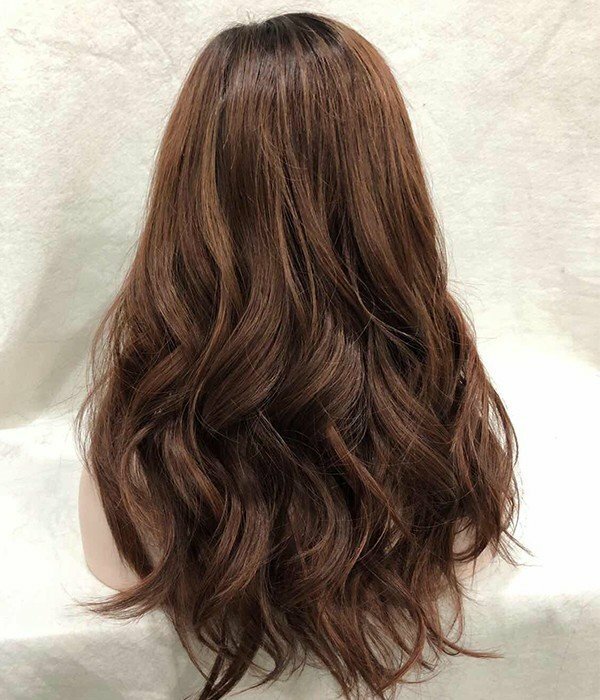 With our most natural-looking dark roots. 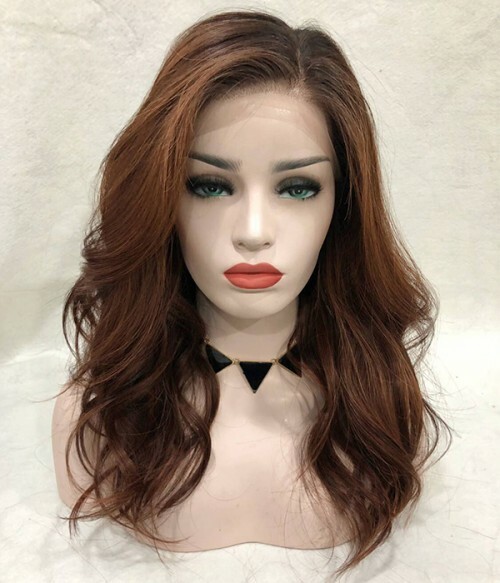 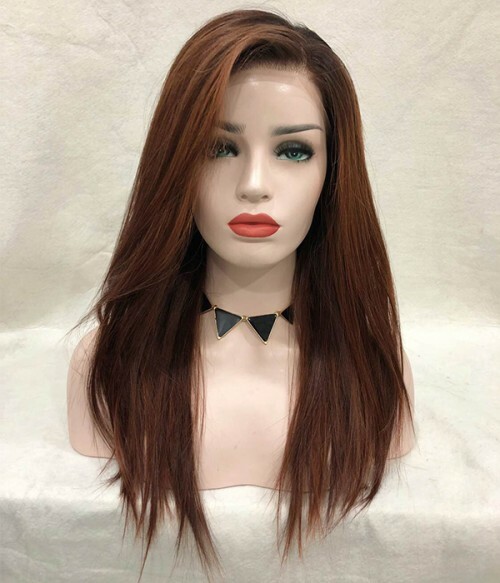 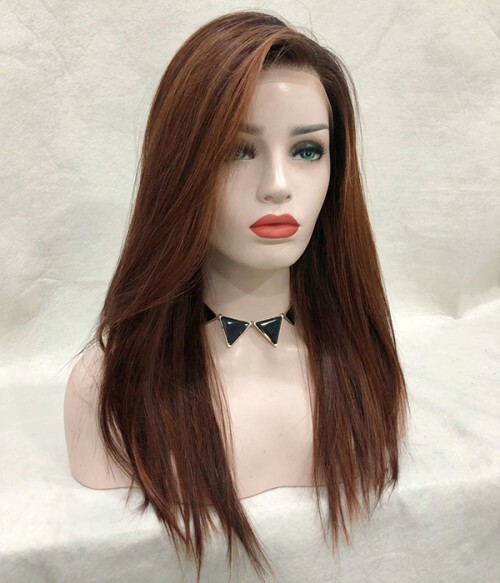 Hailey is a striking Redhead style made from 100% luxurious Virgin Remy Human Hair that ensures lasting shiny, silky hair with a long lifespan. 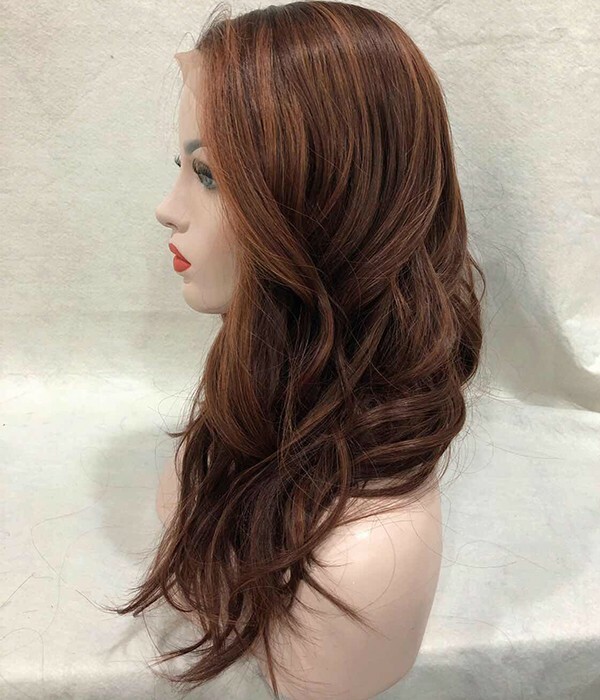 Hailey is a perfected blend of reds to get a deep auburn and copper look. 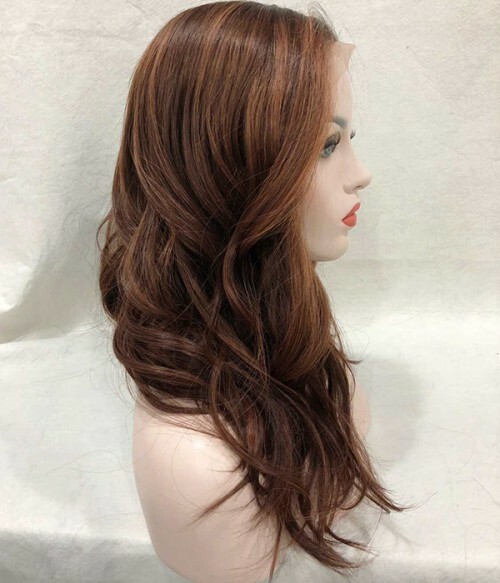 This hair can be styled with heat tools such as flat irons, curling irons and blow dryers just like your own hair. 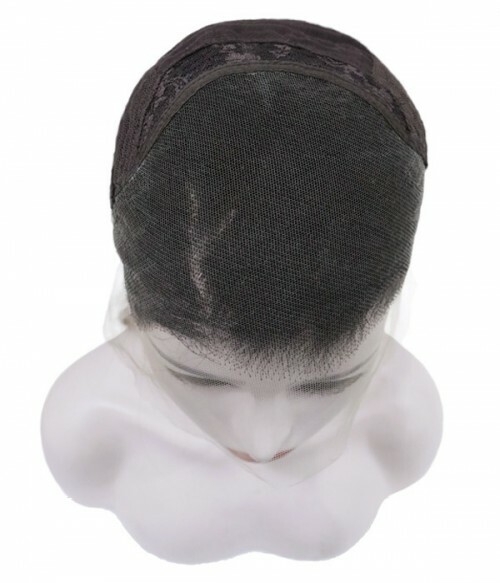 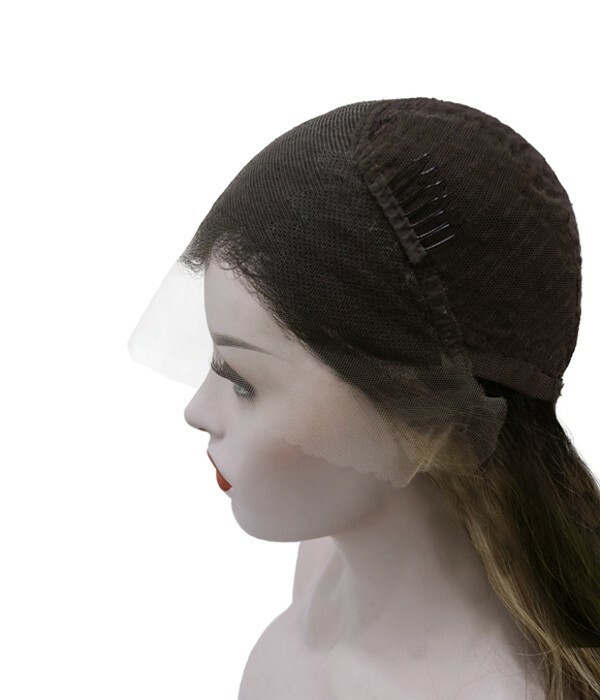 Superior French lace - Hailey has a Lace Front cap that is made from Superior French lace, which provides a realistic hairline with small hand-tied knots that replicates your own hair growth. 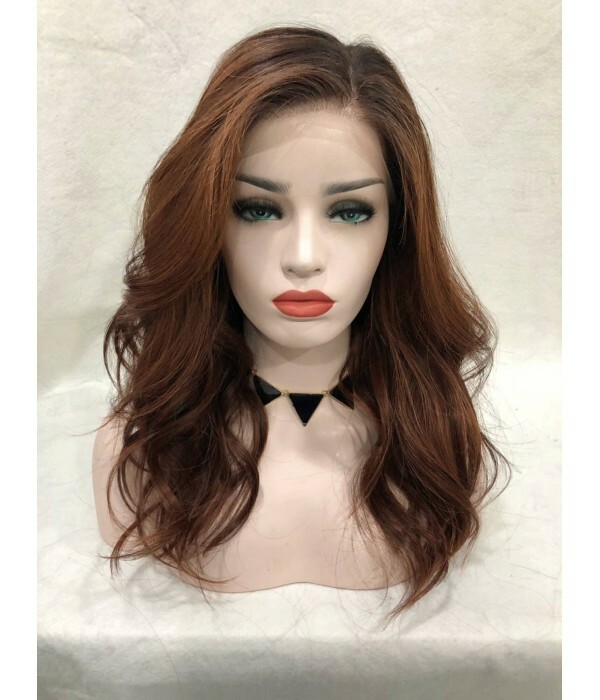 13''X5'' Lace Top - The lace is comfortable and versatile to wear, with the front lace extending from ear to ear at 13 inches. The lace from front to back measures 5 inches. 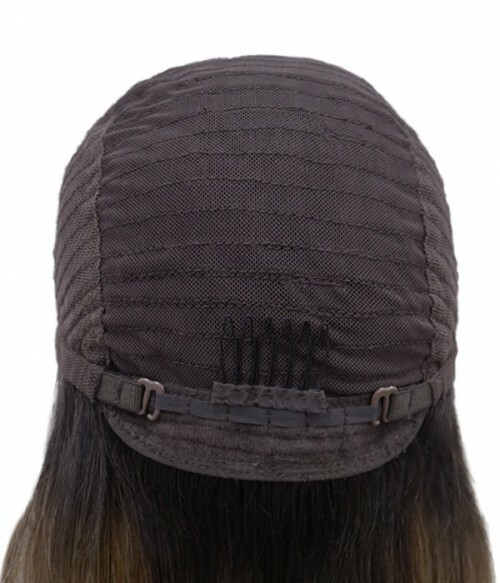 The elastic net cap in the back feels extremely soft and is superbly comfortable with a secure fit and an adjustable strap and combs. 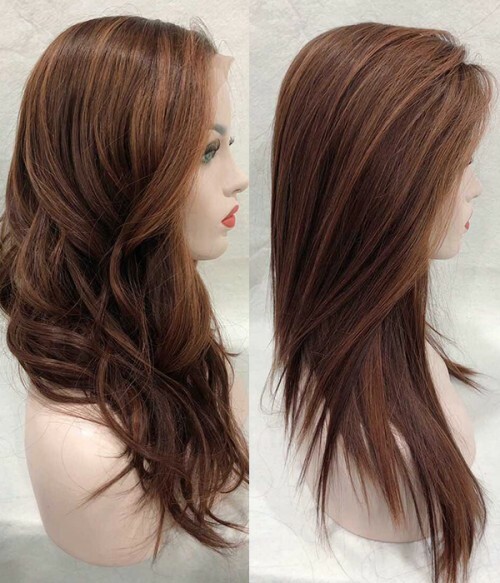 Hailey has a free parting, to be parted or styled in the middle or side of your choice. 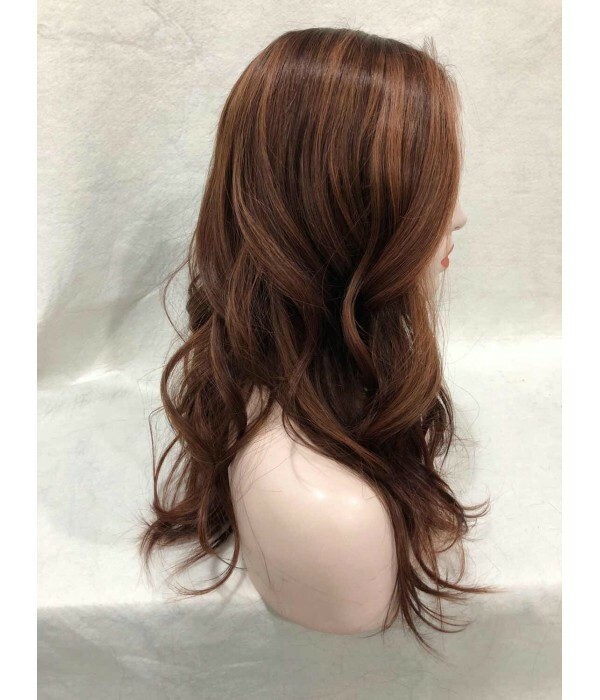 150% Density - The hair density is 150%, giving fuller and more volumized hair than the average 130% density. Be bold, with the show-stopping redhead Hailey and you will stand out from the crowd.